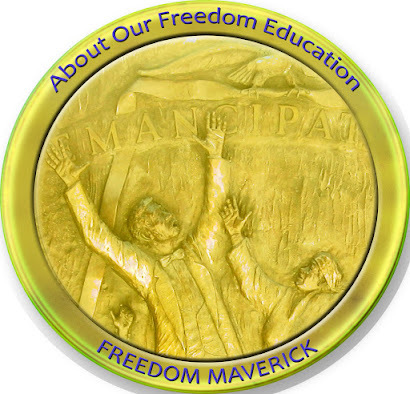 You can get be among the first to qualify for the 2011 About Our Freedom Badge. The badge features just one section of the African American Monument located in Columbia, South Carolina on the grounds of The State House. To qualify, you will need to document an ancestor that lived during the Civil War or Reconstruction Era, and feature him or her in a blog post. The post should include how you discovered the ancestor along with any details or oral history you may have. 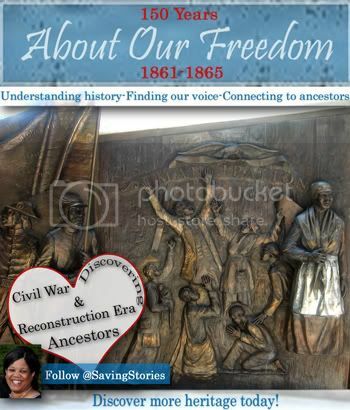 This may be quite a challenge if your ancestor is African American, so you may need to spend time in 2011 following Find Your Ancestor where I will be sharing all the resources that I used to document my ancestors prior to 1868 and beyond. Please feel free to send a direct message to ask for help. If you have already been successful documenting an ancestor between 1861 and 1876, have you identified the entire family group? Have you traced that family group forward and searched census records and death records? You may have a pleasant surprise waiting if you have not tried that. I recently suggested a client do the very same thing, and she was able to identify a slave owner's will that listed the slave ancestor as well as her children. Now she can trace those children forward to see if parents are listed on death records. They would have only had to live past 1915 in South Carolina for the possibility of birth place or parents to be listed. Needless to say, we are excited. I will be sharing many resources and techniques in 2011. 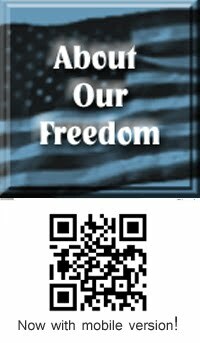 I will share this badge with anyone who finds success and shares it with us. You will be able to display it proudly, and hopefully, you will inspire someone else who may have lost hope. What a way to commemorate 150 years of freedom! Just send a tweet to me announcing your post: @SavingStories. Please specify 350px or 250px wide. You are most certainly welcome to share a blog post about a Civil War Soldier and qualify for a badge. I am excited to learn more about the soldier in the 46th Arkansas USCT as well.